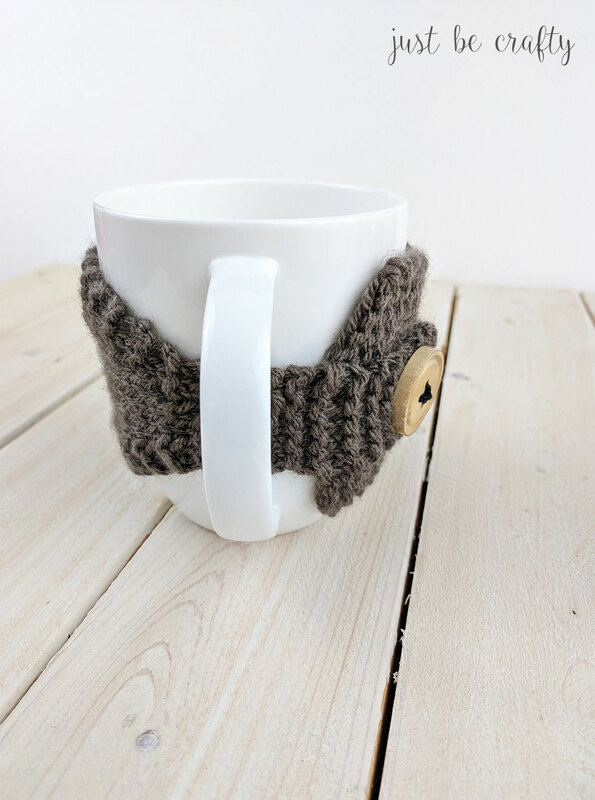 The Knitted Coffee Mug Cozy Pattern is the perfect project to get started on if you are a newbie knitter! 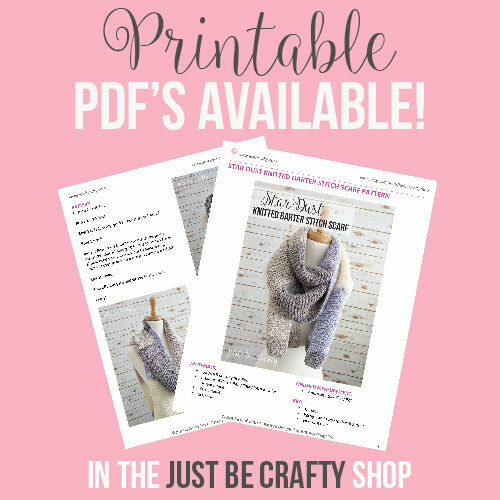 This pattern features all the basics such as the knit stitch, purl stitch, and basic decreasing. 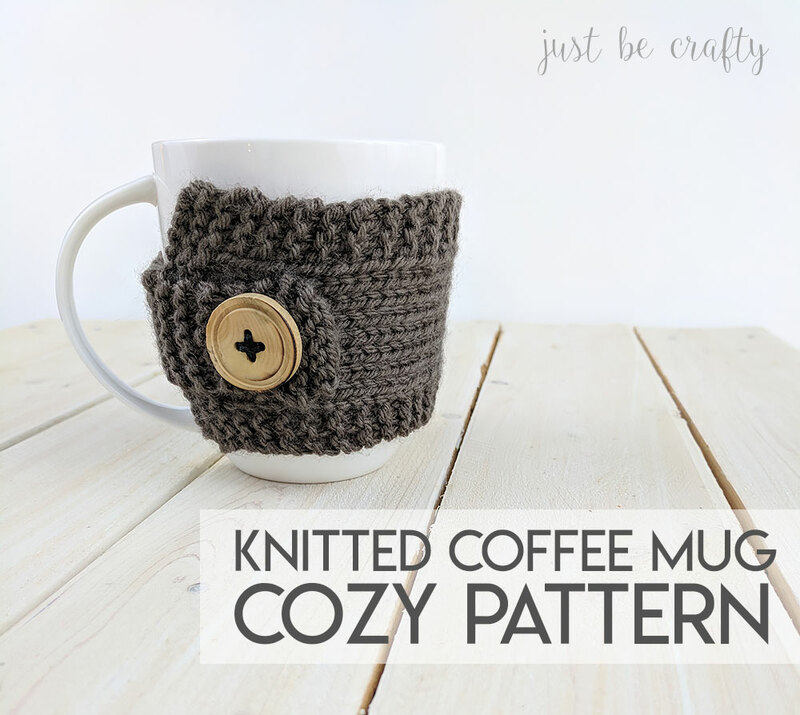 It doesn’t get any more “fall” than a knitted sweater and a hot cup of tea [or coffee], so why not put the two together and make a little sweater for your coffee mug! This pattern is great for seasoned and beginner knitters alike. The project features the knit stitch, purl stitch, and decreasing and is worked using medium worsted weight acrylic yarn. 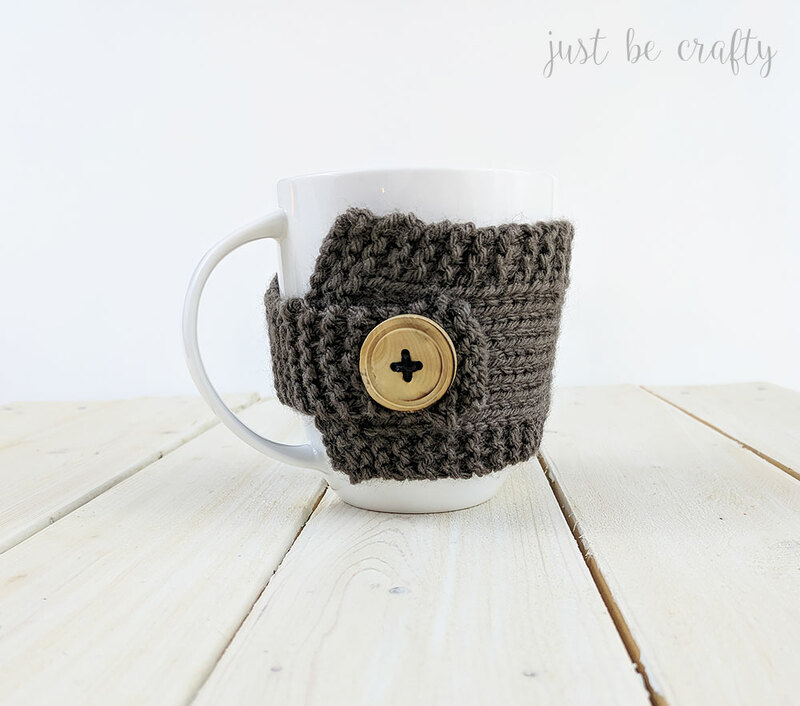 The Knitted Coffee Mug Cozy Pattern makes for a great gift project, as you can whip one up in about an hour. Attach to a pretty mug, fill with candy or a packet of hot cocoa and there you have a super easy, cute and thoughtful gift. Be sure to save this one in your back pocket for an easy DIY Christmas gift! This pattern is designed to fit an 11 inch wide mug. The cozy will have a snug fit to the mug. Laying flat, the cozy is 3 inches wide by 11 inches long. Repeat Rows 6 and 7 until piece measures 7.25″ from cast on edge, ending after completing a Row 6 repeat. Your cozy will most likely want to curl inward. Once the cozy is buttoned and/or on the mug you will not have this issue. If the cozy curling is bothering you, try wet blocking. Try the cozy on your mug to find the proper placement for the button or use photo below as a reference. Please note, your cozy will need to be stretched around the mug to properly fit. 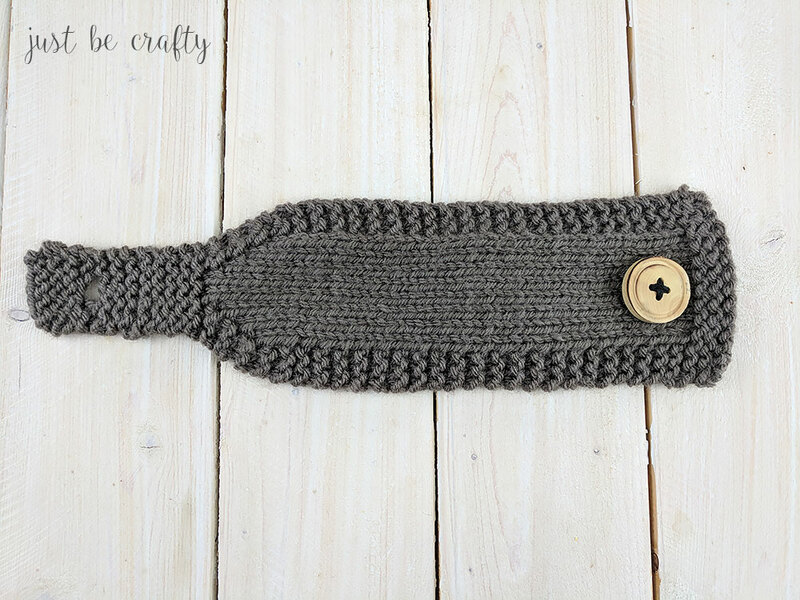 Attach wooden button to cozy using your sewing needle and embroidery floss. Secure embroidery floss, and trim ends. NOTE: You want your cozy to fit very snug to the mug so that it doesn’t slide around. It may appear to be too tight at first, but once you have button sewn in place and attach the cozy to the mug, it will look on point! I hope you enjoyed this pattern! If you did, I’d love to see a picture of your finished project on Instagram! Be sure to follow me at @Justbecraftyblog and use the #justbecrafty! « 8 Free Easy Patterns To Get You Ready For Halloween! I can see Christmas gifts using this pattern. thank you. Maybe I missed it but is there a link to print?